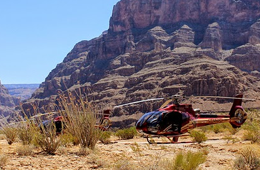 Grand Canyon Weather Guide for Tourists – How Hot Will it Get? How Hot Will the National Park Get at the Bottom of the Grand Canyon This Year? The Grand Canyon weather fluctuates immensely from one extreme to another, due to the various elevations within the national park from as low as 2,000 feet to well over 8,000 feet. In higher levels of elevation, it is common to discover extremely cold winters, mild summers, moderate levels of humidity, and regular temperature changes. In the lower regions, or the bottom of the Grand Canyon, it is common for travelers to find that the summers are much more intense and drier, and the winter months are cool and damp. 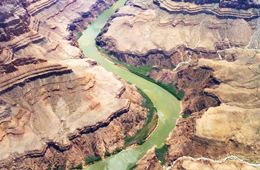 If you are planning a trip to the bottom of the national park this year, it is imperative that you learn about the weather and other Grand Canyon facts pertaining to the area. 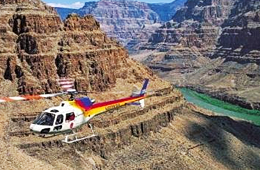 Not only will this aid in assisting your tour of the region, but, knowing what Grand Canyon weather to expect will ensure your safety during your travels. The deep canyons and the exceptionally rough terrain found throughout the national park have a very strong influence on the air circulation of the national park, as well as the solar heating activities that occur, therein. In order to accurately determine the Grand Canyon weather at the bottom of the national park, you should understand that, for every 1,000 feet that experiences a loss in elevation, the temperature includes approximately 5.5°F. At the absolute lowest levels within the National Grand Canyon, you will discover the hottest temperatures. This inner canyon region is considered to be a desert-type environment. During the months of May, June, July, August, and September, it is not at all uncommon for the temperatures to exceed that of 100°F. In the bottom of the Grand Canyon, there is typically a low level of humidity. The energy that is emitted from the sun is a large determining factor on the high temperatures experienced in the inner, bottom region of the park. During the dry period, in the early summer months, the bottom of the Grand Canyon is typically about 30 degrees higher than that at the top of the canyon. Furthermore, there is not a lot of shade at the bottom of the canyon. If you are planning a trip, tour, or hike of this region, it is best to complete your journey early in the morning time, or in the late afternoon time. This is when the Grand Canyon weather will be most comfortable. According to the Grand Canyon facts, the rain that typically impacts the bottom of the national park typically happens in July and August. During the nighttime, lows may be experienced that are quite cool due to the fact that the bottom of the canyon is not being warmed by the energy emitted from the sun. When traveling to the bottom area of the national park, you should avoid traveling alone and you should prepare yourself for extreme temperatures. By keeping these facts pertaining to the Grand Canyon weather in mind, you have a higher chance of enjoying your trip to the bottom of one of the world’s most fascinating and awe-inspiring landscapes!